My twenty-second stadium of 2013 was on Tuesday 24th September 2013 at North Road in Brightlingsea, Essex. 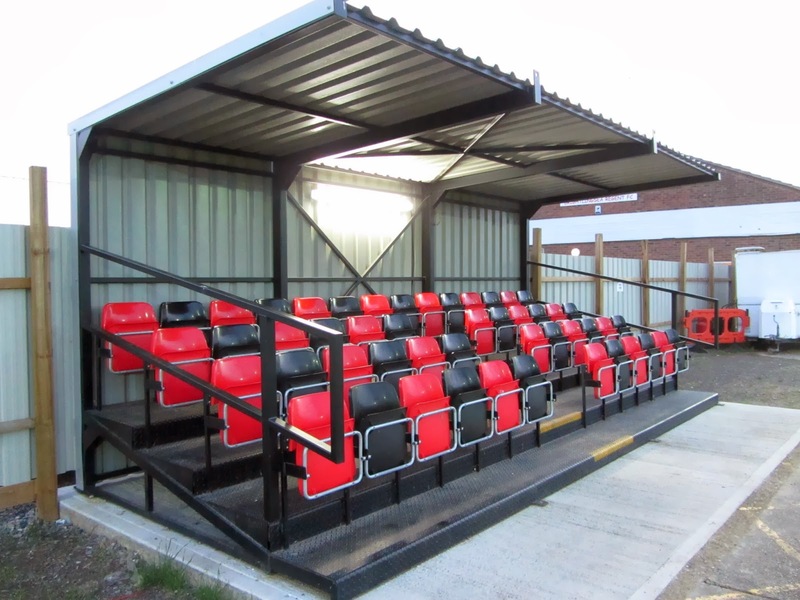 The match was Brightlingsea Regent vs. Hadleigh United in the Eastern Counties League Premier Division. North Road is located in the centre of the town of Brightlingsea and is surrounded by housing on all sides. The venue is 4 miles from the nearest railway station at Alresford. North Road has been home to Brightlingsea Regent and its predecessor Brightlingsea United since 1929. In 2005 Brightlingsea United merged with Regent Park Rangers to form Brightlingsea Regent and since then the club has risen quickly through the leagues. This has meant the the ground has had recent improvement works to bring it up to the necessary standards. There is a small 50-seat stand near the half-way line on the southern side of the ground. Just along from this is the clubhouse which includes a covered section outside for hard standing. The club hit the news in 2014 when they purchased a new 107 seat stand on eBay for a fee of £5,500. This structure was shipped over from the Isle of Wight and re-assembled on the northern side of the ground. This part of the ground also has the team dugouts and a small area for extra parking. The rest of the ground is uncovered standing. It did not take long for the first major action of the game as the visitors were awarded a penalty after just 20 seconds when Brightlingsea goalkeeper Daniel Beeson mistimed a tackle and took out a James Blades. The penalty was duly dispatched by Josh Mayhew to put Hadleigh 1-0 up. That lead was almost doubled a few minutes later when Beeson pulled off a save from Blades' close range shot. Though Brightlingsea started poorly as the half went on they managed to get on top of things and almost equalised in the 35th minute when Darren Moyes pushed Ricky Griggs' shot onto the post. Just before the break the hosts made their breakthrough when Kevin Coyle was felled in the box. He stepped up and slotted the ball home to send the sides in level at the interval. A couple of minutes after the restart Hadleigh retook the lead when Ollie Canfer smashed the ball into the top corner from 12 yards out. The visitors then suffered a setback when defender Shane Wardley was sent off for his second booking and in the 66th minute Brightlingsea equalised when the ball was fizzed across the box and Scott Yearling directed it into the roof of the net. Shortly after this the home side clipped the top of the crossbar from a corner but just when it looked they were going to go on and win the game Ollie Canfer picked up the ball and sprinted through the Brightlingsea defence before poking the ball into the goal. The hosts threw everything forward to try and get something from the game but in the 85th minute confusion in the midfield allowed Hadleigh's Michael Barwick to pick up the ball and he was able to lift the ball over the advancing goalkeeper and into the bottom corner of the net. 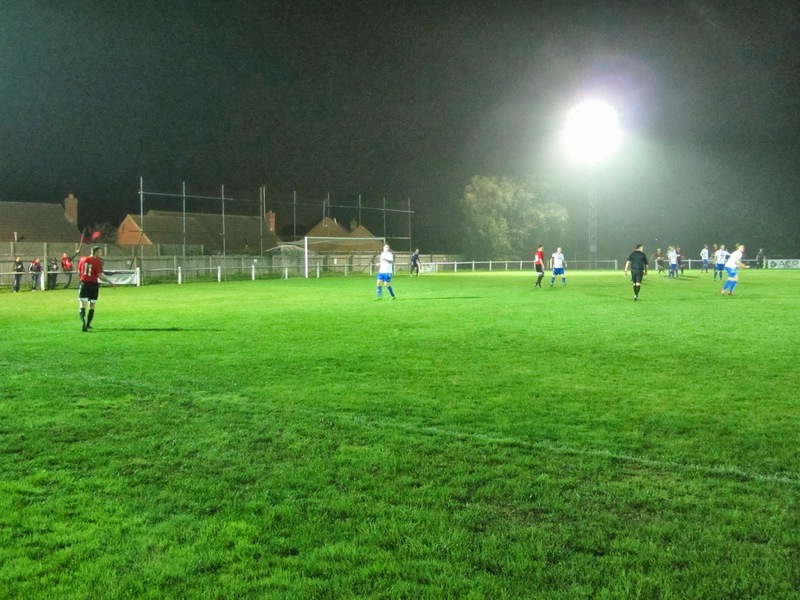 Hadleigh stood firm to Brightlingsea's last attacks of the game to record a 4-2 win.